Who still plays? How is your progress coming along? Your team? Valor here. I’m a tad behind some of my friends, but I’m keeping up. 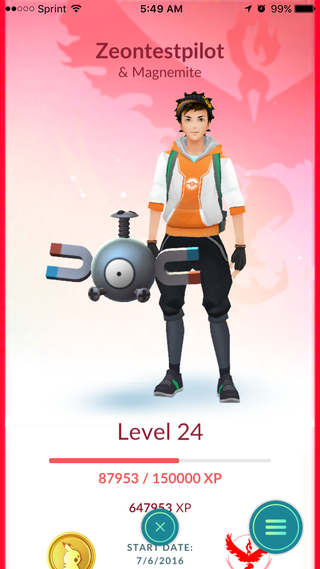 I’m level 24 now, with a pokedex of caught/seen ratio of 97/117. I keep finding a lot of Eevees here for some reason, so I have a few Vaporeons, Flareons, and Jolteons. I usually place my vaporeons in gyms. What your guys top 12?